Goat hair sparsely placed together to create a fluffy tip that’s softly curved allowing it to splay in all directions. Designed specifically for those “I’ve applied too much blusher/bronzer” moments, the primary purpose of this brush is to erase colour or excess powder by using blending. When the above moments occur, softly tickle your skin with this brush wherever you would like to blend or lift away any product. Always have a tissue to hand as you will need to clean the brush before repeating this step. You can also double this brush up as a powder brush. To dust powder over your T zone, swirl this brush into your product and tap off the excess then sweep onto the relevant areas. 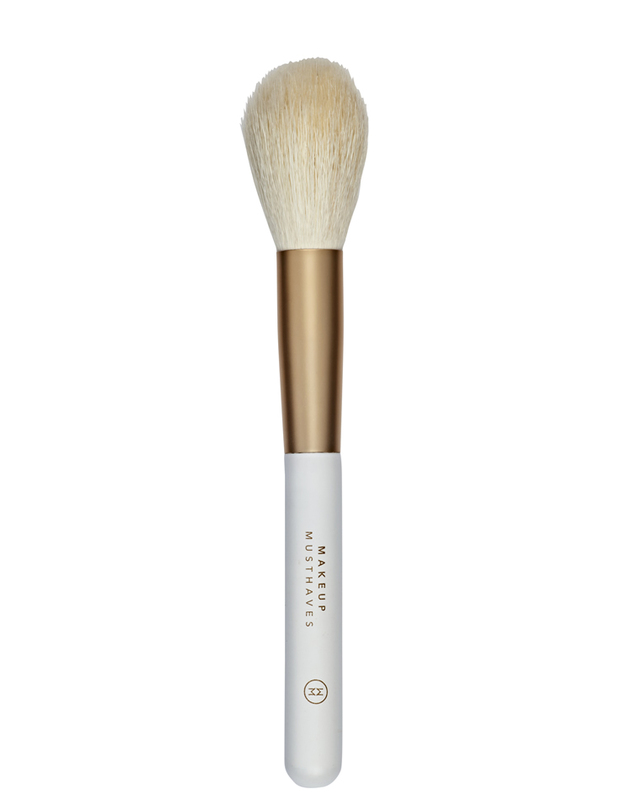 This brush is also great if you want to add extra bronze under your jawline or neck. Taking a little product at a time, softly apply onto your skin where needed, without adding too much powder. If you use translucent powder or ‘bake’ use this brush for dusting off excess product.